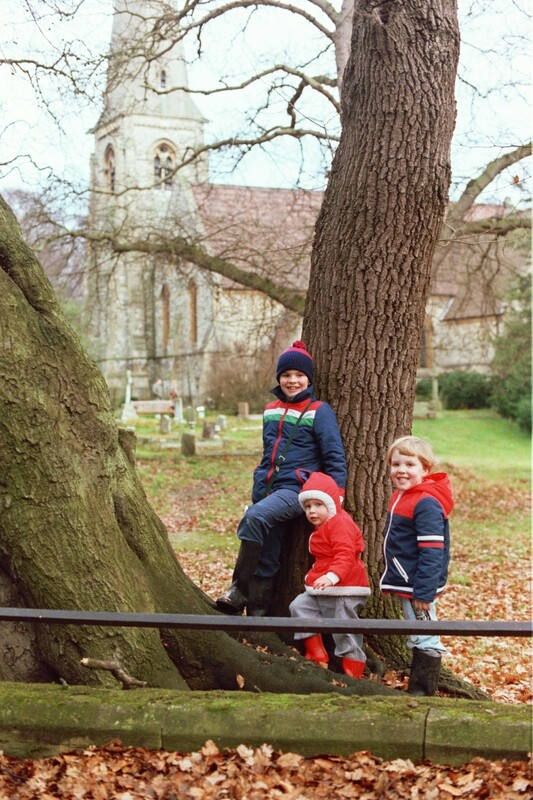 The Church photo is Christmas Day, 1977 at High Beech Church in Epping Forest when Beth Rusling visited us for Christmas…Ed was well on the way then. This photo was taken by me just before Matt ran down a hill and ended up in a huge bog that was covered up in Autumn leaves. We had to make a hurried dash for home as Matt was wet to the skin. I stripped him and wrapped him in my coat!!! It was a cold day!!!! !